We aren’t making these up. These are just a few of the fun facts and one-of-a-kind holidays you can find on the Adwerx Real Estate Content Calendar. It’s a free downloadable spreadsheet, and it’s an easy way to plan for a full year of interesting blog posts, tweets, phone calls and newsletter blurbs. You’ll never say, “I don’t know what to write about!” again! Once you download the calendar, make it unique to YOU. Insert your client birthdays and local events. Include seasonal home maintenance tips specific to your part of the country. 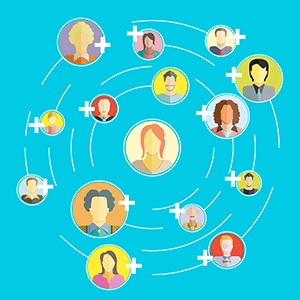 Then decide which of your channels will work best for each date — is it your Facebook feed or is it more of a tweet? It’s up to you. Content marketing is a powerful way to demonstrate your expertise, help people get to know you as a real estate agent and a person, and increase the visibility of your web site. Click to download the file (.xlsx) and make it your own! At Adwerx, we make digital advertising for real estate brilliantly simple. And now planning out your content marketing for real estate is brilliantly simple, too! Never knew that these days exist. Tried to download free calendar. Could not. Jame, please try this link and select where to save the file: https://www.adwerx.com/blog/wp-content/uploads/2015/12/Adwerx-2016-Content-Calendar-for-Real-Estate.xlsx. If it doesn’t work, I’ll be happy to email it directly to you. 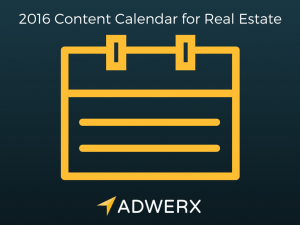 Hi Debbie, please try this link and select where to save the file: https://www.adwerx.com/blog/wp-content/uploads/2015/12/Adwerx-2016-Content-Calendar-for-Real-Estate.xlsx. If it doesn’t work, I’ll be happy to email it directly to you.